Rapiergroup are experts in delivering events, exhibitions and conferences across the globe and provide all aspects of event, exhibition and experiential marketing and management. Rapiergroup works with leaders in the financial, automotive, technology, pharmaceutical and medical sectors. The company has delivered passionate strategy-led insight for the last thirty years, focused on getting people talking and has gained a reputation for beautifully designed, effective work that has sparked conversations across the globe. They have also achieved ISO 20121 – a management system standard designed to help organisations in the events industry improve the sustainability of their event-related activities, products and services. Rapiergroup will continue to build on the professional foundation of these events whilst seeking to enhance the overall management. 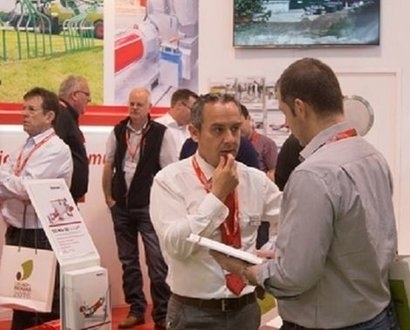 They have additionally been tasked with challenging the needs and requirements of the features area of the Expo and injecting ‘theatre’ and ‘excitement’ into these key elements of the show. The success of this year’s solution will then be jointly analysed in preparation for future growth and enhancement of the two events. Rob Brazier, Director at Rapiergroup, added that the company is looking forward to building on the success of previous years’ events, working together with ADBA and WBA to create the next chapter in the events’ history and establish them as the leading events in the industry calendar.